This apec essence polishing carbon filter is an exceptional value for general applications where long life, high purity and low change-out frequency are required. This inline filter has no glues or binders, that may cause contamination, used in the manufacturing process. Instead, components are friction-welded together, producing a reliable, No-Leak seal. The threaded connections are precision cut by machine resulting in the most accurate and repeatable thread possible. 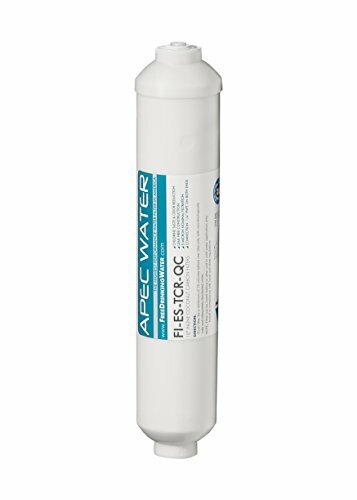 Composed of acid-washed carbon media, this high quality post-filter is designed for maximum chlorine, taste & odor reduction.